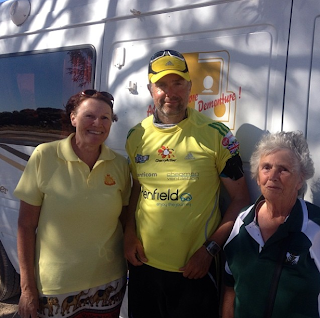 An early start ensured that Mark was able to travel the 300 miles back to where he ended on day 41. Driving the route from Adelaide gave Mark a better understanding of the landscape and terrain that lay ahead. 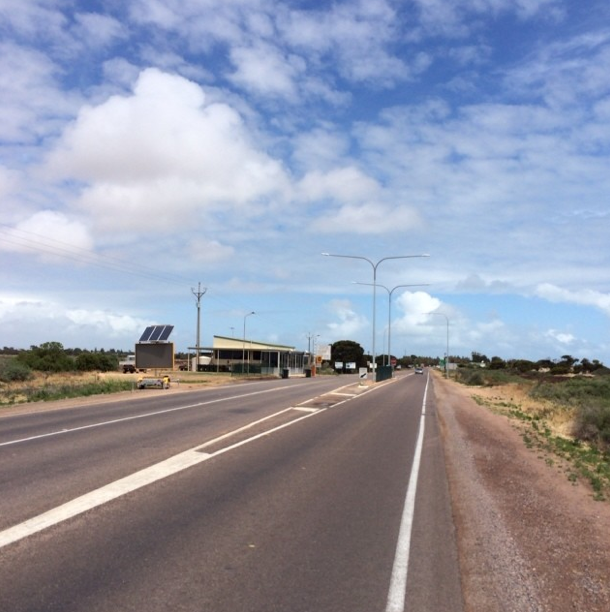 The road that Mark will use heading into Port Augusta is a very busy road, something very unfamiliar for the run so far. 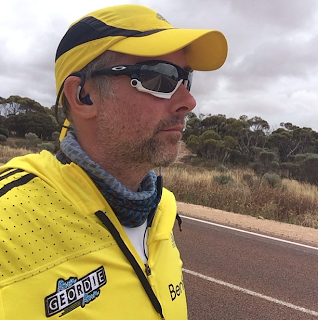 Eager to get back on the road and build the mileage back up Mark completed 20 miles in record time - the quickest half marathon, 10k and 5k of the entire tour. The focus was strong for the coming days with a target of 39 for day 43. The temperature was forecast for at least 40 celcius. 5am and Mark was getting ready to set off for day 43. The forecast had changed overnight to 34 Celsius which was a little more appealing for Mark. The target for the day remained. 39 miles with big miles on Thursday and Friday too before a change in the support team which would reduce it from four to just one. With the temperature at 21 Celsius so early this could only mean one thing - flies. Mark donned the familiar sight of the fly net and trooped on for the day. Did you know? 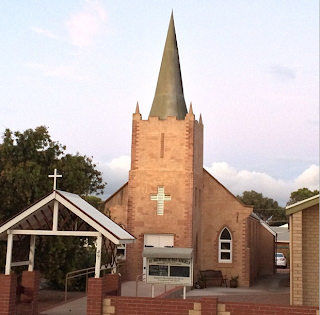 The word "Kimba" is derived from the local Aboriginal word for "bushfire". Donna, Carlton, Ian and Dave. The new support team. 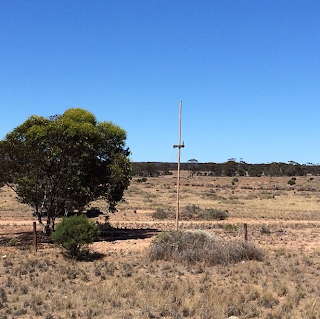 As Mark headed out of Kimba the signal started to drop. 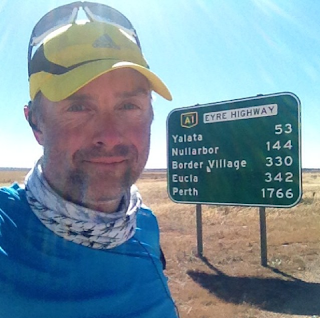 The temperature had reached 43 Celsius as Mark had approached 18 miles. 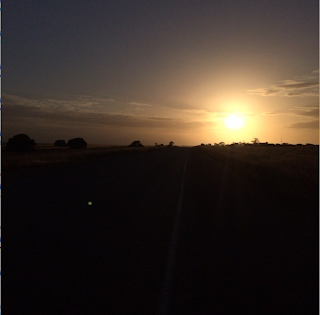 Mark ended day 43 on 32.4 miles. 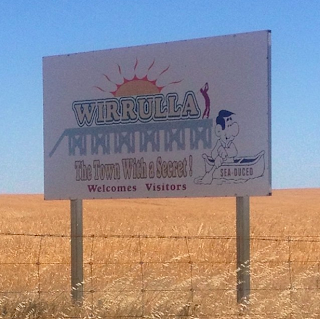 The temperature was relentless for the majority of the day and peaked at 49 Celsius. Mark reported that his left foot had started to develop the same problem as his right foot had 2 weeks ago. These were early stages so the aim was to treat as carefully and as thoroughly as possible. 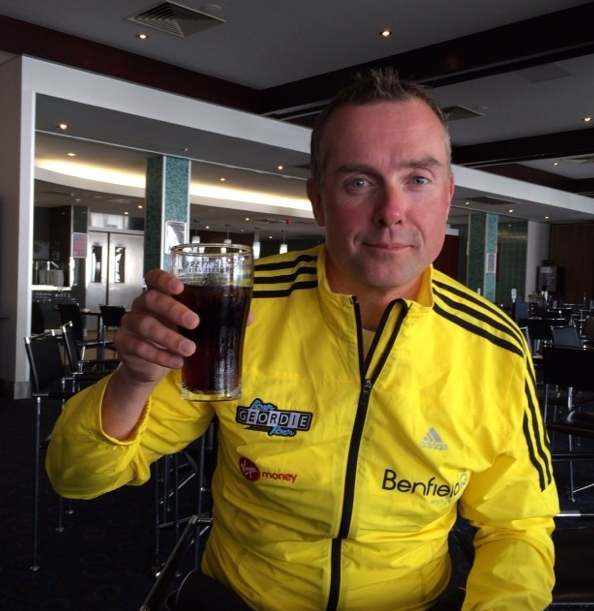 Today's run was in memory of a Virgin Money colleague, Richard Lee, who lost his battle with cancer earlier this year. "Richard Lee was one of the nicest guys I've ever met. 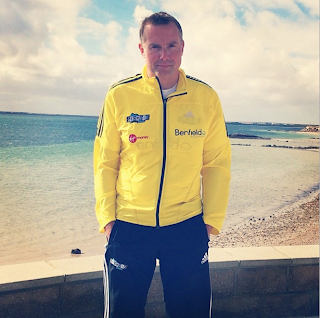 He sponsored my runs very generously over the years and was always supportive." Naturally spirits were high and the great pace meant that Mark hit 23 miles before lunchtime. 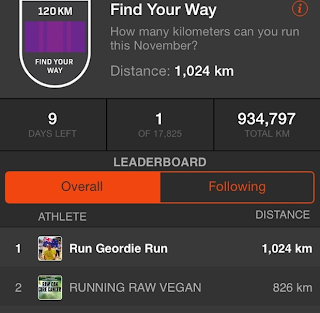 Miles 22 and 23 were the fastest out of the 40 days of running. Those last 2 miles were for Richard. 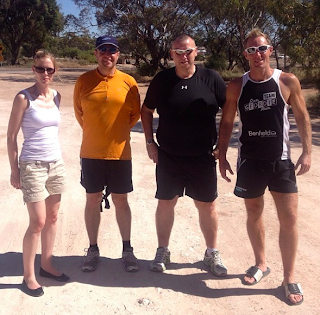 Mark continued the day running with various members of the newly configured support team and ended the day on a high. A fantastic sum of money was raised by Carlton for his 'marathon in a dress' to support Mark's charities and the total mileage for today was 38.2 miles. The temperature was forecast to soar for the next few days so it was no surprise that day 41 was quick to heat up reaching 40.5 degrees Celsius by midday. "I can't open the door but I know that magic things happen behind it." "I'm going to hang around the door for now to see what happens. It's time to believe in magical doors people. #believe"
"My heart is pounding in my chest. The #magicaldoor has this effect. I feel sick with anticipation." 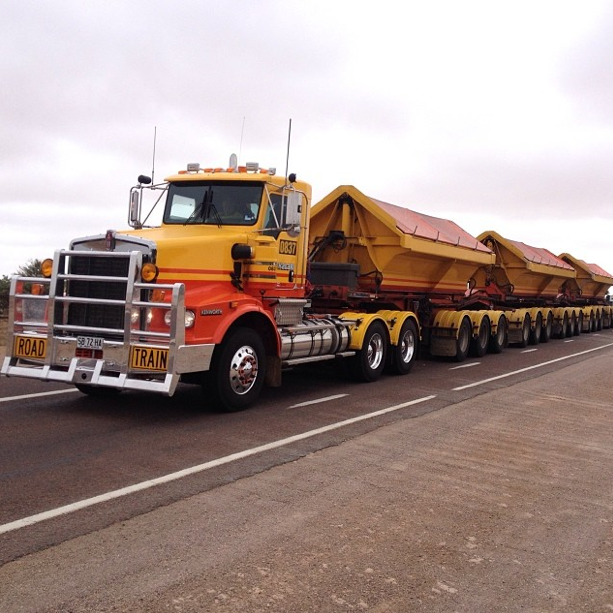 "This is THE pivotal moment in the run across Australia. Let the magic begin. #magicaldoor PLEASE STAND BY"
"I can't stop shaking. It's opening. Deep breaths. Must not pass out. #magicaldoor STAND BY"
The guesses continued until all was revealed - Mark had been waiting at Adelaide arrivals. Last week I broke the news to Mark that I would be travelling out early to join him and the team in Australia. As a team we agreed that one of the others would come and meet me so that Mark wouldn't drop any miles. Mark is too stubborn to be told what to do so after a 300 mile drive there he was waiting to surprise me! A 300 mile drive back the following day would mean that Mark had sacrificed at least a full day of running. 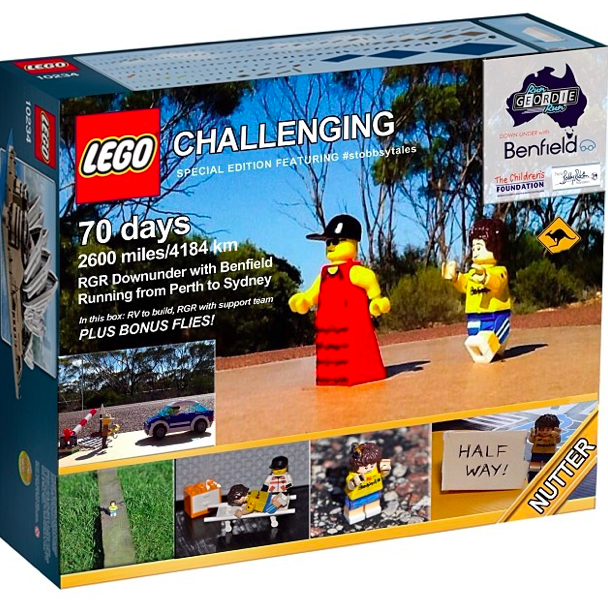 The focus was back on to ensure that Bondi on Christmas Eve was still realistic, this would mean 39 miles per day until 23rd December to allow for a 20 mile day on 24th December. 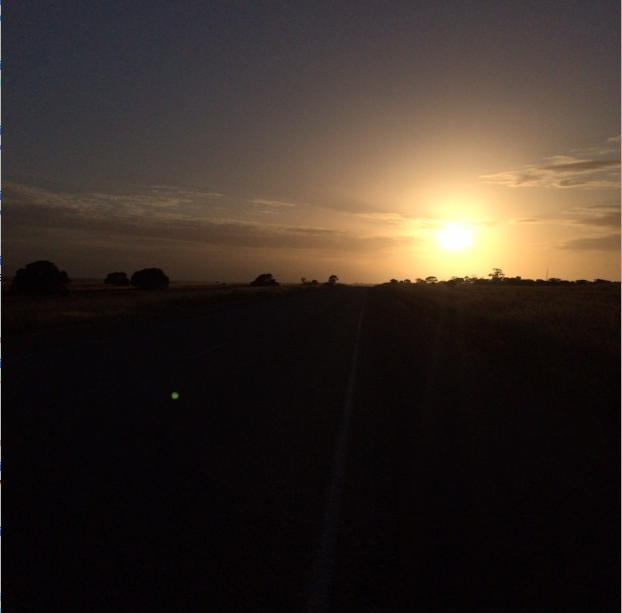 Mark started day 38 strong and had the opportunity to catch up with messages of support via twitter and Virgin Money Giving. At 7 miles Mark tells that he "had a panic attack, laughed and cried all in a 30 second period. More news why on Monday". After 19.5 miles Mark's ongoing battle with his feet presented more pain. His little toe on his right foot was causing severe pain. After a quick break and some pain killers Mark tackled the second session of the day. The blister has been caused by running on a small, uneven hard shoulder as well as looking over his left shoulder for traffic throughout the day. 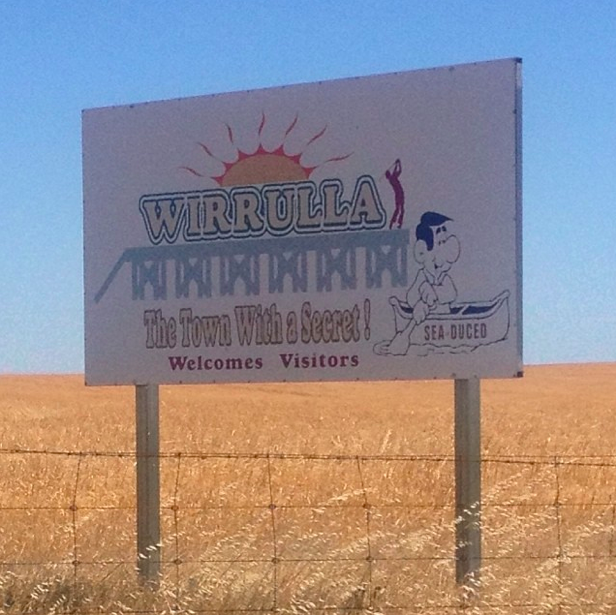 Mark passed through Wirrulla, a strong wind meant that there were very few flies making the day that little more bearable. Mark sent a message out to Carlton just after 29 miles saying that he was in serious need of food. At this stage of the day Mark had burned 4200 calories and only consumed 1500. A massive deficit which he continues to struggle with in attempt to make some sort of balance. Mark finished day 38 on 36 miles. He was joined by Carlton for the last 2 miles which provided some great banter to end the day with. Mark started day 39 at Cungena, it was a cold start but was most certainly due to heat up. 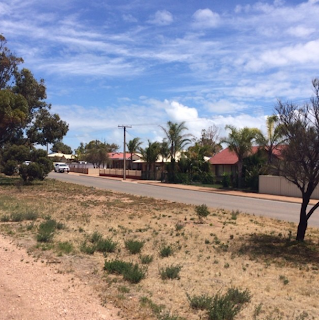 Mark's right foot continued to cause him pain, at one point he had reduced his pace to a walk while he waited for Carlton to arrive in the RV where he could then assess the situation and receive the necessary treatment. The aim for day 39 would be 30 miles. 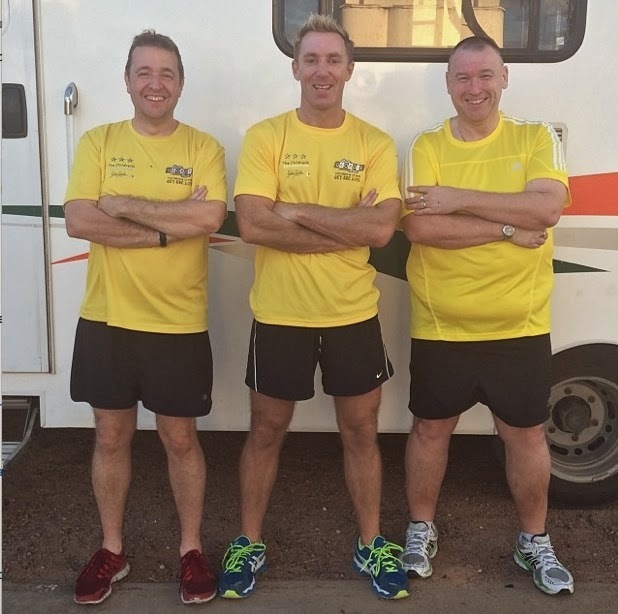 Dave and Ian joined the team in the afternoon and were able to join Mark running which was a great boost. Mark ended the day on 33.4 miles and was able to have a proper shower in the RV campsite. Having Dave on the support team meant that Mark could also have a massage in attempt to revive his legs. 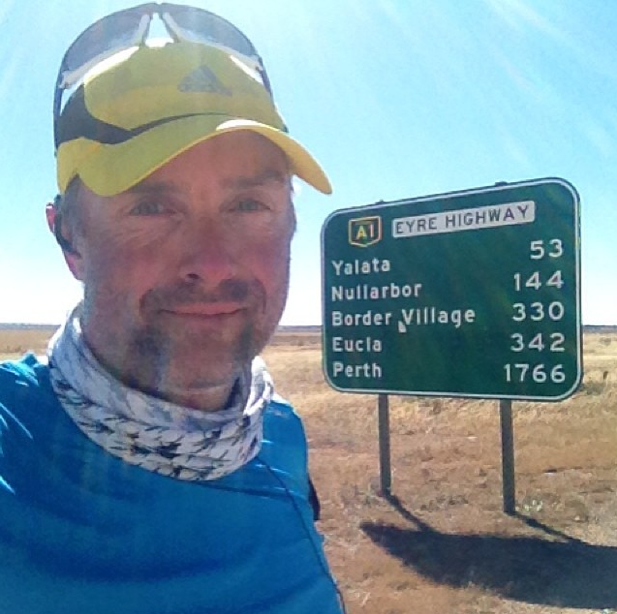 Some stats to reflect on after 39 days of running: 23,226 ft climbed, 1320 miles ran. 160,000 calories burned and approximately 3.1 million steps taken. Just a quick note to apologise for the delay in blog updates. Things have been fairly hectic over the last few days and a lack of mobile signal has had a huge impact too. The aim is to get the blog fully up to date within the next day or so. 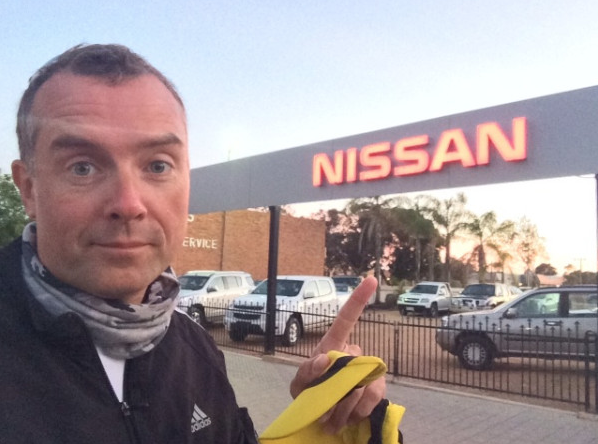 "For anyone who followed the run across the USA then this picture should give a laugh...check the blog history for 'Nissan Dave'." 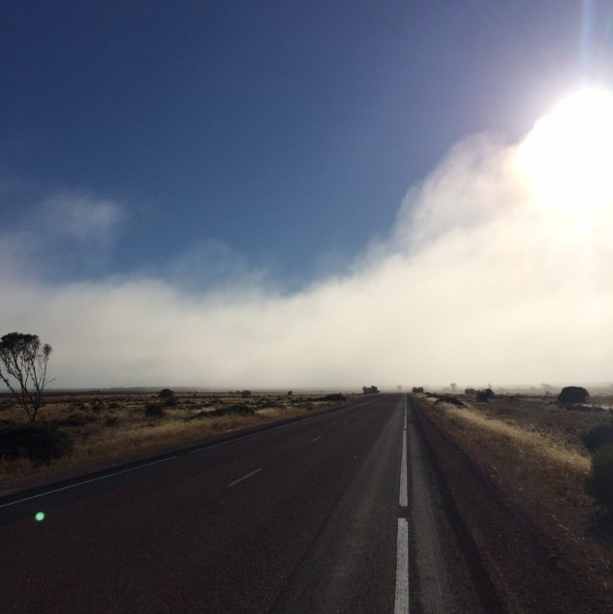 "Day 37 - Next major destination is #portaugusta. Goodbye #ceduna #eyrehighway"
"Looking good for the number 1 spot on #strava this month." 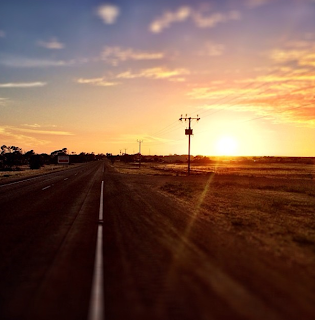 "My new sounds: Day 37 - Start"
"#sunrise in #ceduna #eyrehighway #eyrepeninsula #rgrdownunder"
"Day 37 - #ceduna. Please make your own jokes. :)"
"Black clouds over the ocean. 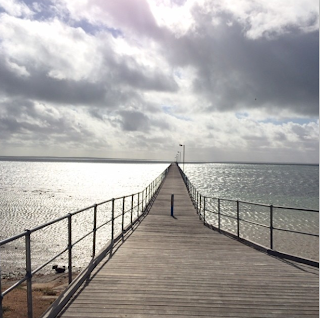 #ceduna"
"Enough photos for now. Time to get a move on and listen to #thatwineshow podcast where #japanesealan and me get a mention." "For #thatwineshow link please see @andyfury @SteffenPeddie. Please note that it contains "1 or 2" naughty words." "I'm currently 6 miles away from the half way point on the run across Australia!" "That's the entire #now series listened to. Now for a listen of Oliver Sountrack, Kings of Leon and some Ska." 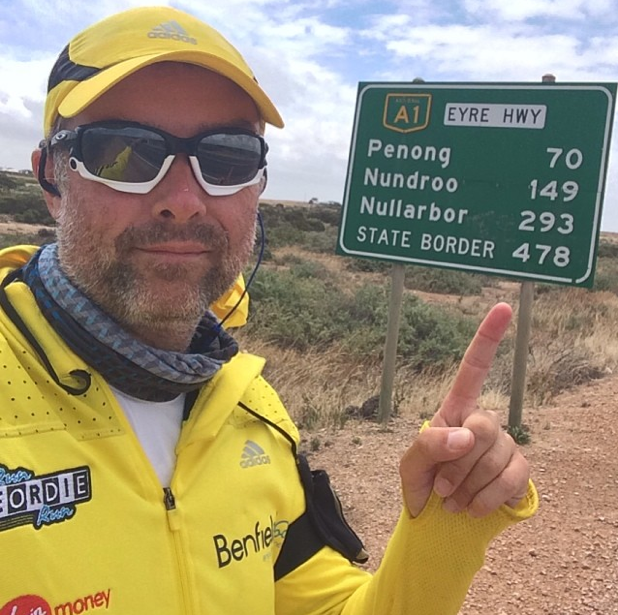 "The total mileage of the run across #Australia is currently 2468 miles. The half way point is 1234 miles. I like that." "I've made it! 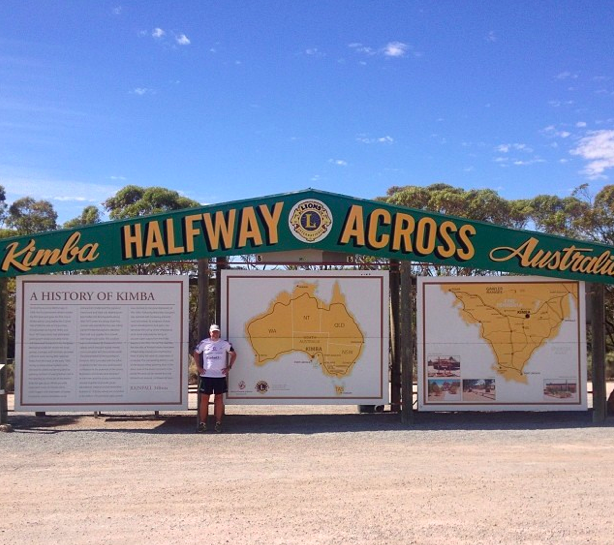 Half way across #Australia. Pics to follow. 1234 miles ran so far." "Top omelette from @carltonf46 to celebrate reaching the half way point. But was it better than @JasonStobbs effort? #stobbsytales"
"@carltonf46: "I saw a small snake with legs earlier". Me: "You mean a lizard?" @carltonf46: "erm, yes"." "Thousands of flies making photos difficult this afternoon. #ihateflies"
"I don't get it. #doorhandle"
"It's a nice warm afternoon on the #eyrehighway #eyrepeninsula"
"Half way. Taken in windy conditions with lots of flies. Nightmare!" "A familiar face has rejoined the run across Australia. Any idea who?" 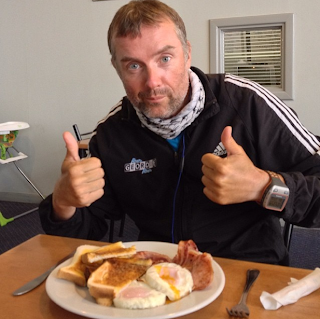 "Porridge and energy gel at the 31 mile point. Out now for the last session of the day." "Wind has picked up speed very quickly. Flies have vanished. Happy days." "View to my right. #eyrehighway"
"Last 2 miles. Will get 38 today. Last 3 miles were the quickest of the day." "Average daily run rate will be 36.9 by the end of today." "38.72 miles done today. A long tough day. Cold, heat, flies and strong headwind to finish. Pleased." 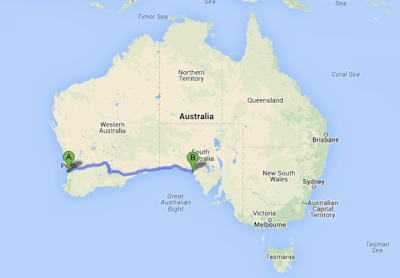 "I need to run 36.8 miles per day for the next 33 days to get to #bondi on time." 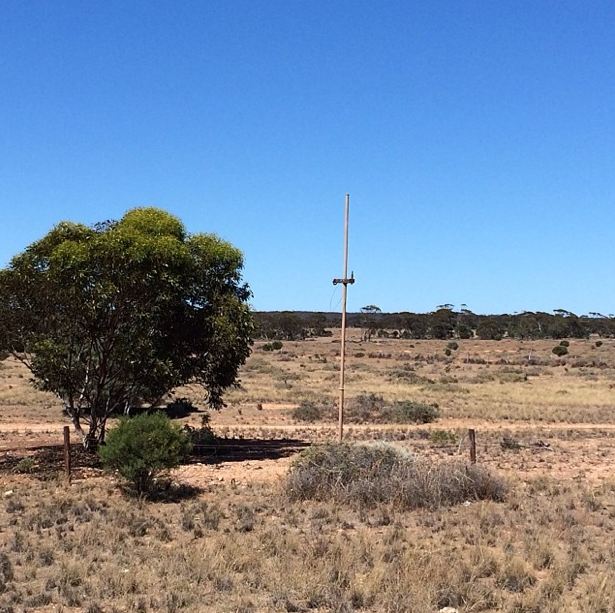 "Dingos barking nearby. They must be able to smell my tea." "Just caught up with the donations. 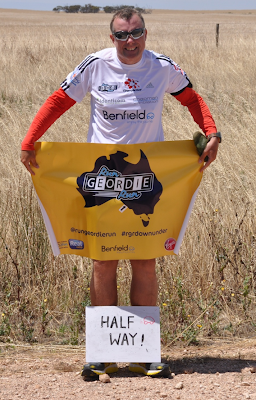 Thank you to everyone who has sponsored me so far. 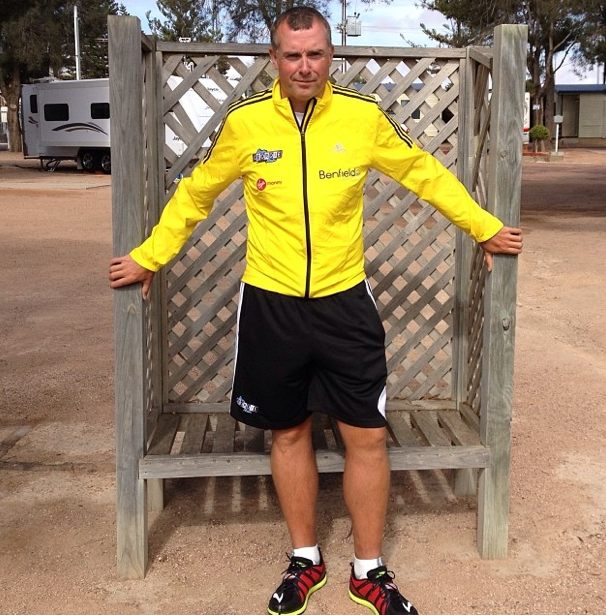 uk.virginmoneygiving.com/rungeordierun"
"@carltonf46 wants to take a photo of a most spectacular night sky. He's bottled it because of the dingos and various other noises outside." "A cold and windy start to the day. I'm braced for high temperatures starting from 9am." "Day 35 - start of the day after a bad sleep"
"I love being near a #commast. Phone calls back to the UK made. I'm happy." "Wind picking up nicely. I'll take this over heat and flies for now." "Thank you to my headline sponsor @drivebenfield for great support. Couldn't do it without them. #spon"
"RV broken down again. It's 2 miles back. Looks like I'm on my own for now." 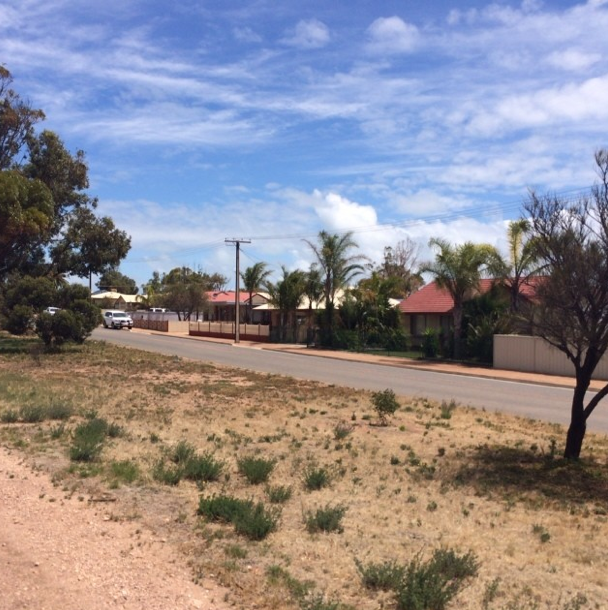 "Not many people wave back in their passing cars round here. #Penong"
"RV has been fixed. Good job we are close to civilisation. Of sorts." "Determined to leave the #nullarbor tomorrow. 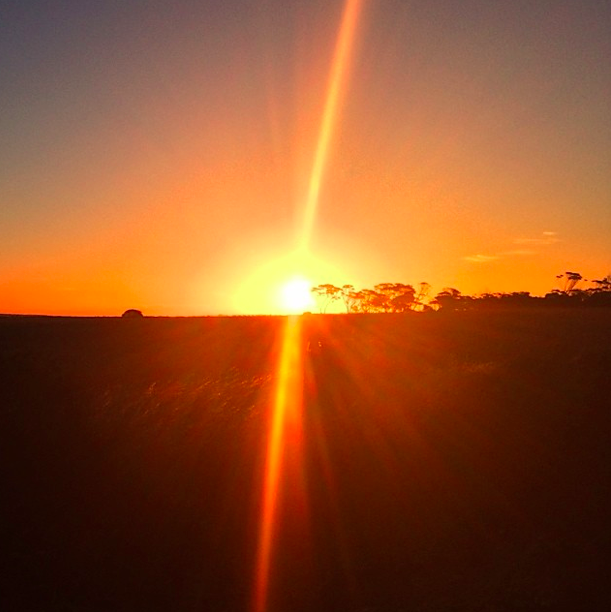 It's a brutal part of the world to run but very beautiful all the same." 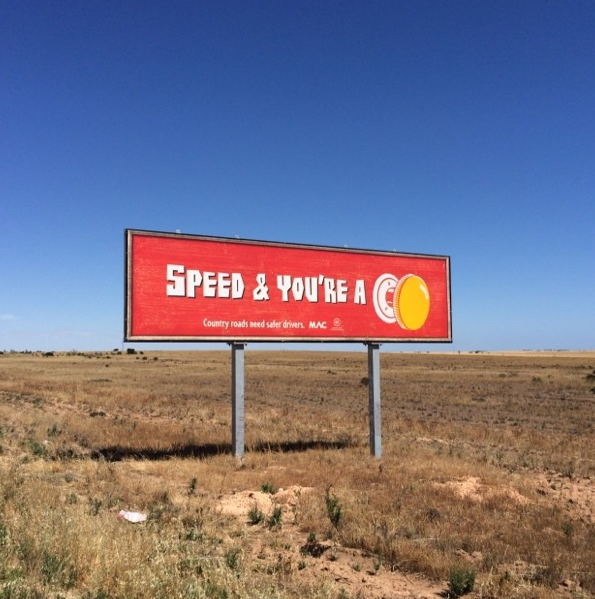 "Just spoken to a German cyclist on his way to #calgoorlie." 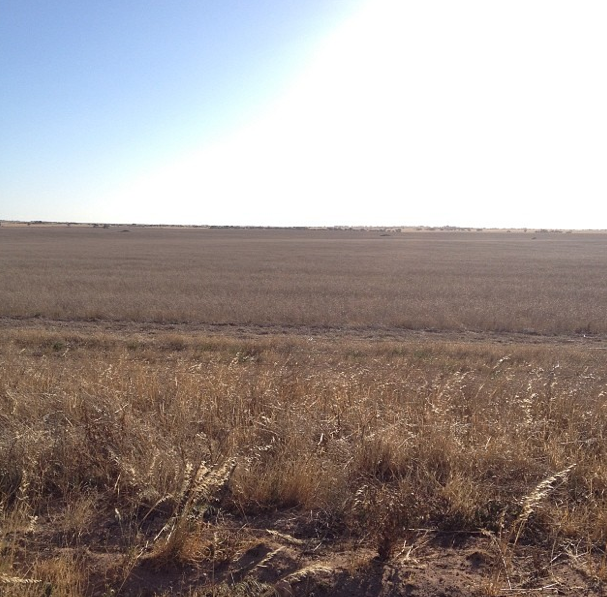 "I can hear a mechanical sound in the field next to me. It seems very alien to my ears." 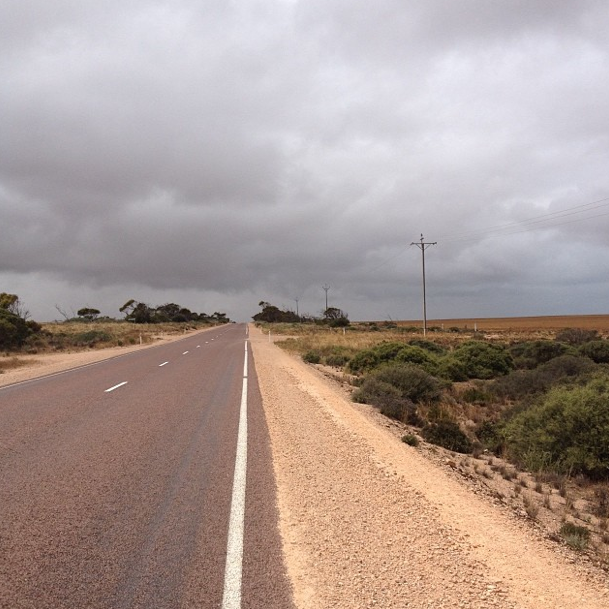 "There is a very small and exclusive community of people crossing the #nullarbor by various means." "The ones I've met have very similar personality traits. They are articulate, determined, positive and friendly people. #nullarbor"
"It's too soon but I'm sure I'll look back on the #nullarbor as I do the #Mojave desert, #deathvalley, #rocky mountains or the #appalachians"
"I think I know how @mrmarkbeaumont must have felt when meeting fellow long distance travellers. 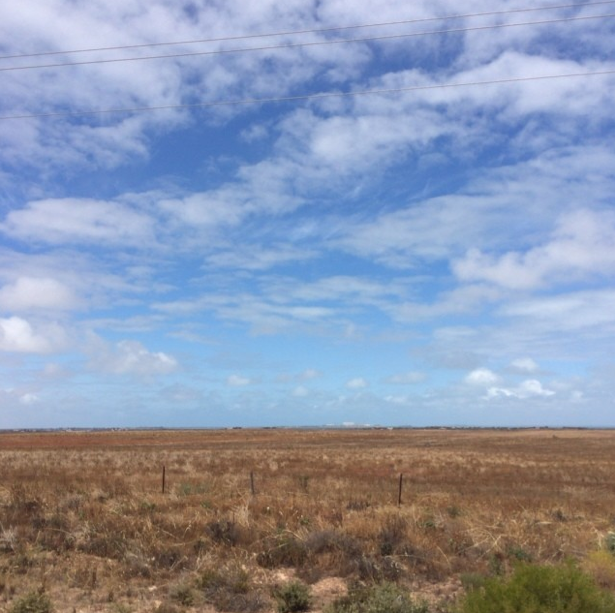 #nullarbor"
"#bacon and eggs in #penong"
"I've seen a lot of these since passing the mine near #yalata #nullarbor #eyrehighway"
"Feeling strong this afternoon. Unleashed my secret weapon on the #iPod. 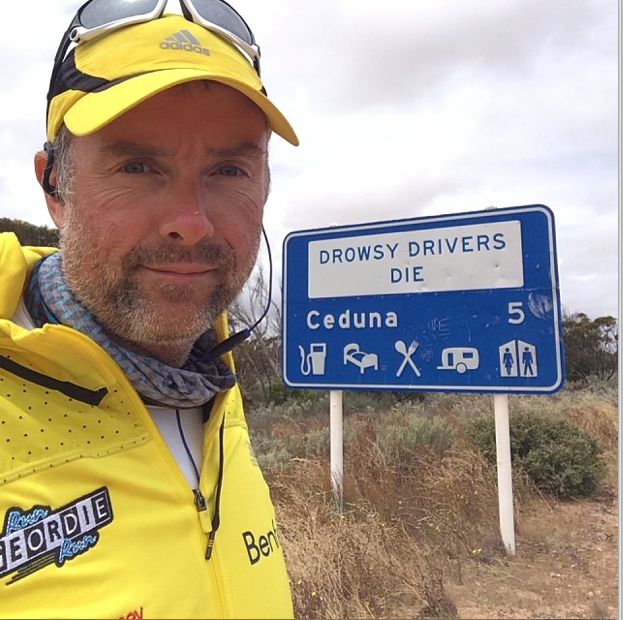 #rgrdownunder"
"I've just passed the spot where Bryan Smith tragically died in 2001http://www.coolrunning.com.au/ultra/transaustralia/ta2001-s28.shtml "
"Progress after 34.5 days of running. #rgrdownunder"
"Think I'll change my shoes at the next meeting point. Each stone I'm standing on is sending a shooting pain through my injured right foot." "Porridge, iced coffee, energy gel and a 20 minute #tacticalsnooze. 27 miles done. 11 left on the final session of the day." "Brrr. It's cold. Wooly hat on. Signal fading. 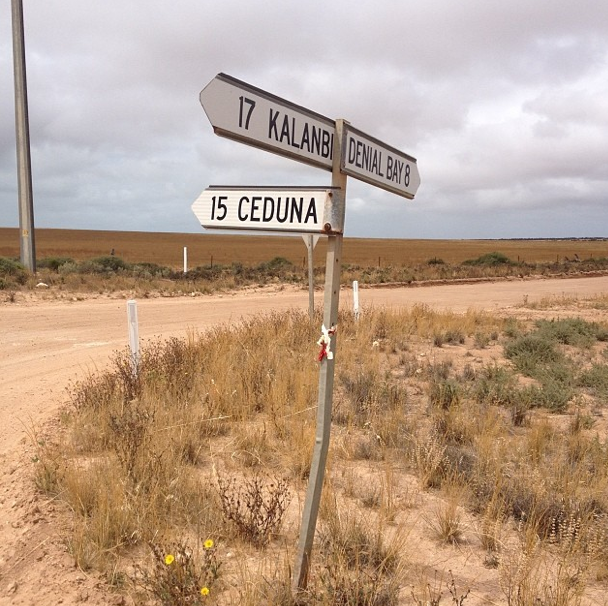 35 miles west of Ceduna." "Aaaah. Painkillers have kicked in. :)"
"1 mile to go. Very quick last 7 miles. Still had another gear but that's not what this run requires some days. Winding down now." "Needed 38. Will get 38 today. A perfect plan executed perfectly on day 35." 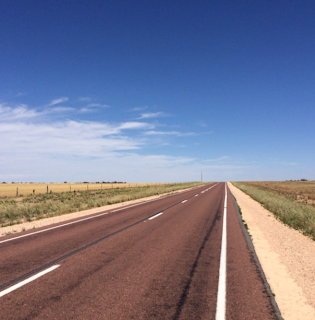 "I'm far more aware of my own physical potential and limitation than I was for the run across the USA." "Knowing what to do, when and how to do it is half the battle. Adapting to changing conditions and having a plan B is the other half." "38.1 miles done on day 35. Had many more miles in my legs today. A good day in tough windy conditions." "New Brooks Glycerin 11 trainers with 11 miles to go were a very good idea in hindsight." "Some top cooking by @carltonf46. 3 courses no less. Soup, chilli and biscuits!" 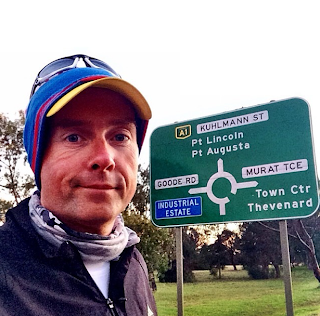 "@carltonf46 seems to think that an average of 36 miles per day will get me to #bondi on time." "You can't beat a shower in the RV. @carltonf46 like @JasonStobbs before him has found a way to get water into the RV unconventionally." "38 miles tomorrow will get me 1200 miles exactly. It's an incentive!" "The wind is picking up around the RV. @carltonf46 is feeling a little seasick." "Tine for lights out on Day 35 of #rgrdownunder with @drivebenfield. 35 days left to reach #bondi. #tobondi"
"@carltonf46 is looking at small errors and efficiency savings in the route to Sydney. I should have a good idea of exact mileage left soon." "Finally, please donate if you can to @sbrfoundation @tcfcharity uk.virginmoneygiving.com/rungeordierun I'll love you forever if you do. X"
"@MissNoble6 @DunnStreet63 Thank you so much for your fundraising efforts. 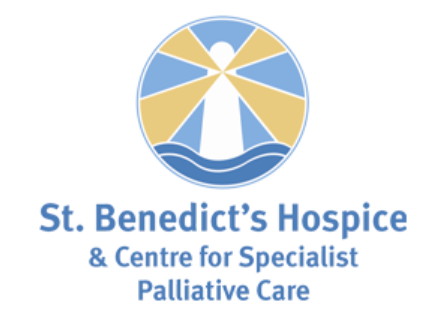 A huge well done to all who took part. :)"
As well as providing some fantastic pictures for #rgrart Dunn Street Primary School also held a charity event as part of their 50th anniversary celebrations. Miss Noble and her children took part in a sponsored run and raised a fantastic sum of money for the two charities. A big big thank you to everyone who supported this. We hope to share some pictures of this soon! 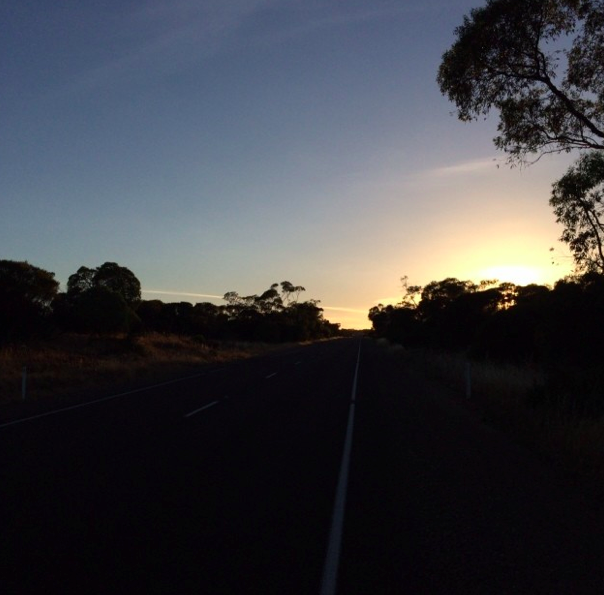 "Morning from the #eyrehighway. Today, day 36, will see the end of the #nullarbor. 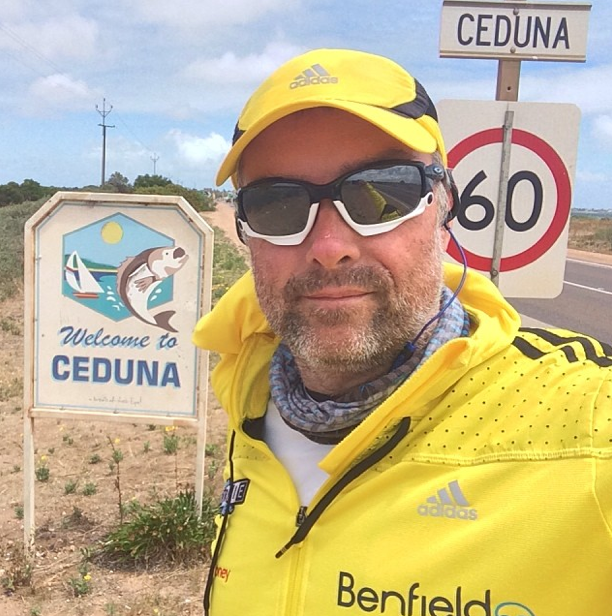 #ceduna"
"That was a very cold and wet 7 miles. In the RV for a rare cuppa and change of kit. Feet are disintegrating in the rain. 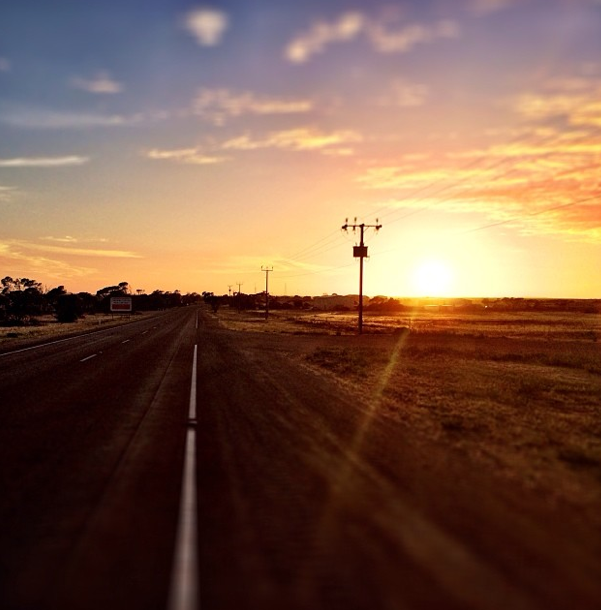 #nullarbor." 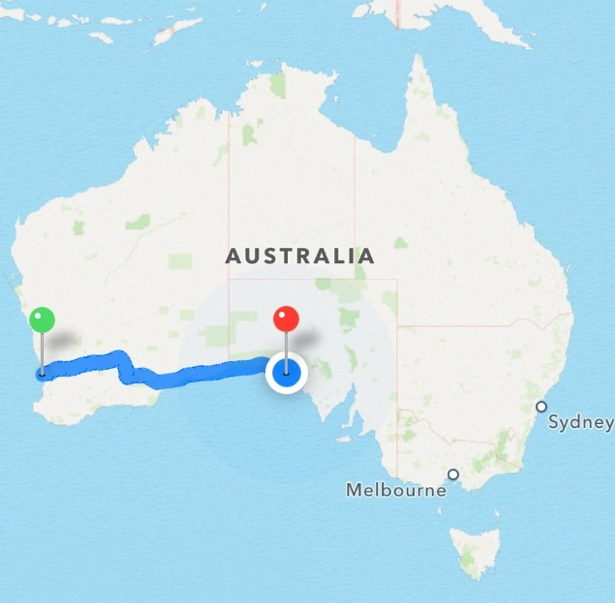 "I'm 2 miles away from 1200 miles. I'm having a Tim Tam with my cuppa to celebrate." "1200 miles done! 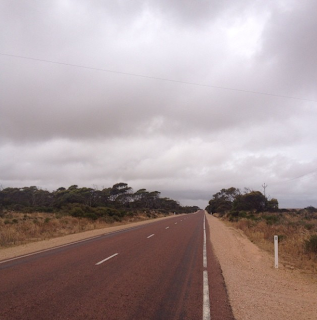 16 miles left until the end of the #nullarbor. #rgrdownunder #tobondi"
"Up to #now83 on the iPod. #onedaylikethis"
"Day 36 - the rain has stopped 12 miles west of #Ceduna"
"Day 36 - warming up thankfully. 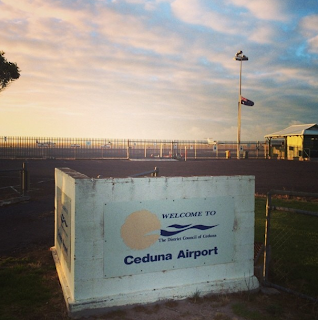 I'll take flies over cold and rain"
"Going to do another 7 miles to #ceduna today and stop at 21. 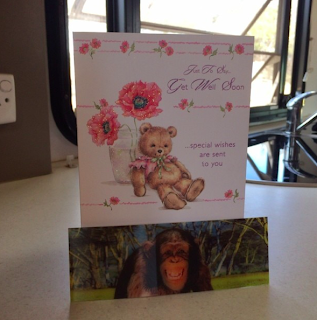 @Donna__Houghton has arranged a nice RV camp for us. Be rude not to use it." "Enjoying the last few miles of the #nullarbor. #ceduna is just over an hour away. #eyrehighway"
"I'll be double checking the remaining miles this afternoon and applying a couple of @carltonf46 suggestions." "I have a feeling that I'll be at the halfway point, in terms of distance, tomorrow. More news later." "#ceduna is in my sights. I can see the ocean again. #eyrehighway #nullarbor"
"5km to #ceduna #eyrehighway #nullarbor"
"Just ran past this sign. #ceduna #eyrehighway #nullarbor"
"Goodbye #nullarbor. Hello #ceduna. 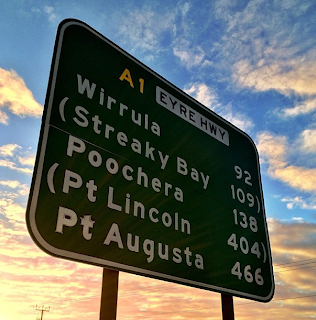 #eyrehighway"
"Day 36 - hello #ceduna"
"Wow! A house on a street. 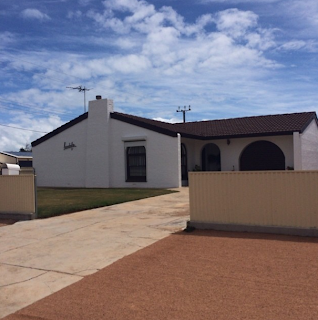 #ceduna"
"More of those things called houses. 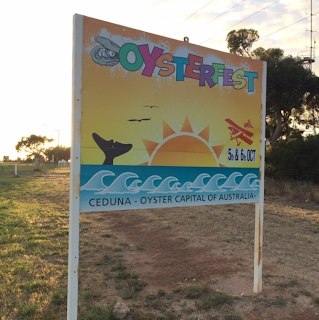 #ceduna"
"Shower, haircut and now to find some delicious seafood in #Ceduna"
"@carltonf46 has worked like a demon today. Supplies bought and laundry done. Ready for the #eyrepeninsula tomorrow." 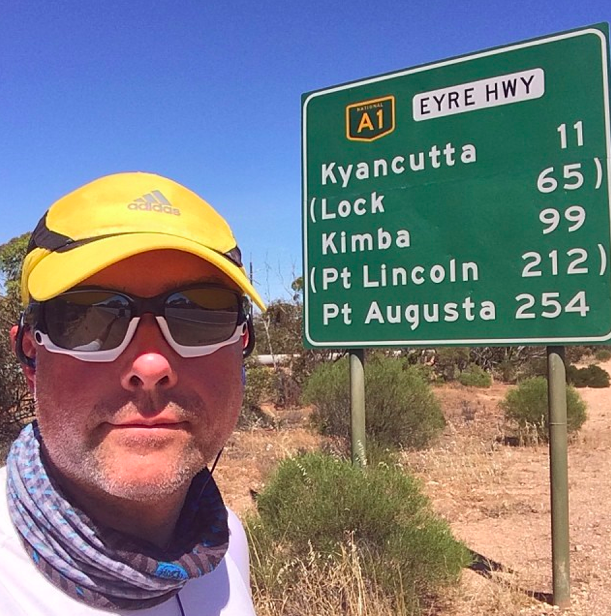 "After 36 days of running." 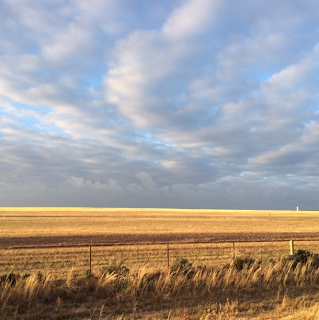 "We have used today's early finish to set the #rgrdownunder clock to #Adelaide time. That's 1 hour lost. Only 1 more time zone to go." "Having tea in a pub. I haven't seen this many people in 1 place for over 5 weeks! This is how Tom Hanks must have felt in #castaway." "I will reach the half way point of the run across Australia tomorrow. There are 1256 miles left to run. 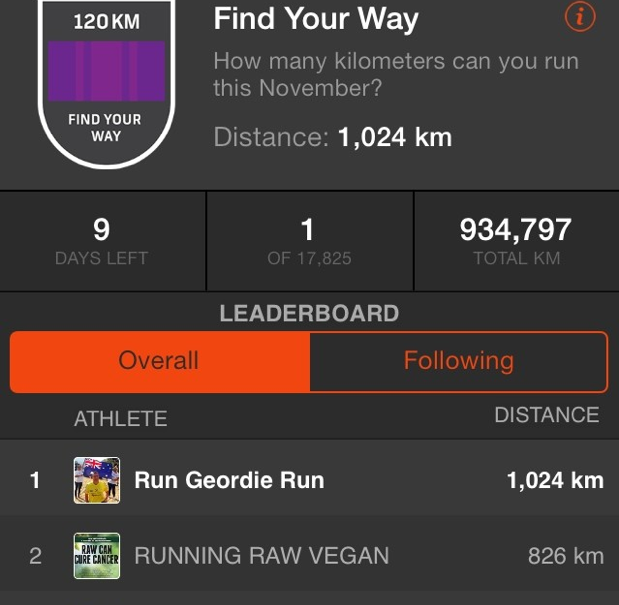 I have ran 1212 miles already." 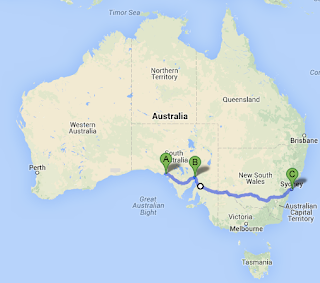 "The remaining miles of #rgrdownunder with @drivebenfield." "The required daily run rate to get to #bondi on time is now 36.9. So far I've averaged 33.67 miles per day." ... e) @Donna__Houghton gets here next week!" "Lights out time. Bed an hour earlier due to time zone change. Tomorrow's target is 40 miles. Time to get some miles in credit. #believe"
As you can tell by Mark's tweets, and perhaps if you heard the interview with Gary and Lisa this morning, you will notice a huge boost of positivity. This is as a result of a number of factors; the massive mileage milestone, contact with the outside world and progress with the healing feet. Carlton is doing a great job reviewing the route and generally looking after Mark so all is well. 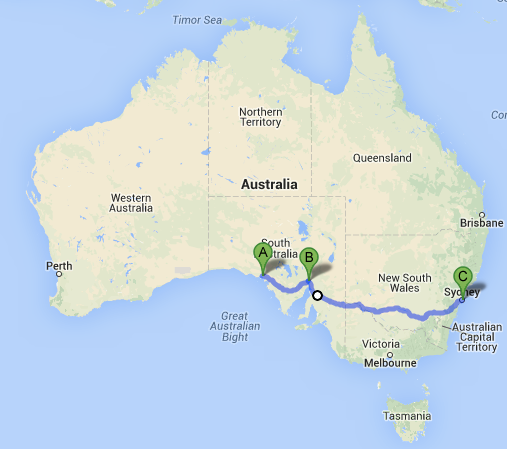 David and Ian start their journey from the UK tomorrow and will land in Adelaide late Friday evening. Saturday should see the support team in full force and as a result hopefully some big miles achieved. "HELLO WORLD! Best nights sleep in a long while. Managed to eat steak in #nundroo last night. No shower. Can't have everything." "Day 34 - A misty start"
"Day 33 - A pole from the old telegraph system." @carlton46: "Got a bit of a bite yesterday. But what did i expect after using the last of @rungeordierun 's showering water to clean the dishes." 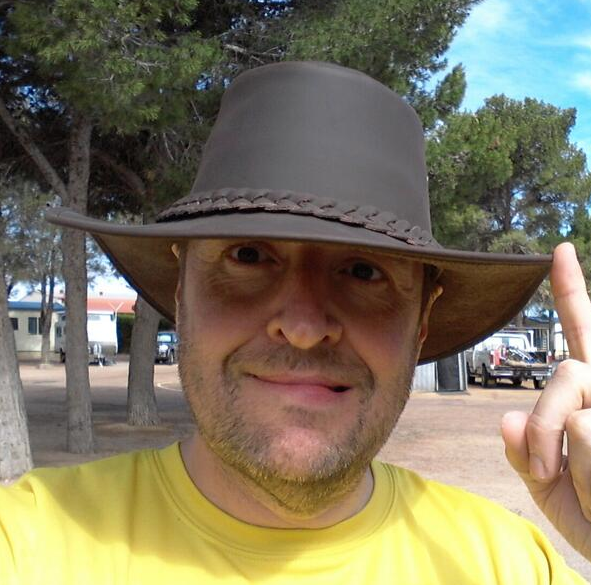 "It's true @carltonf46 chose to wash dishes using the water I could have had a shower with. I forgive him though. :)"
"@carltonf46 has continued the sterling work of @JasonStobbs on the support team. Top banter also helps." 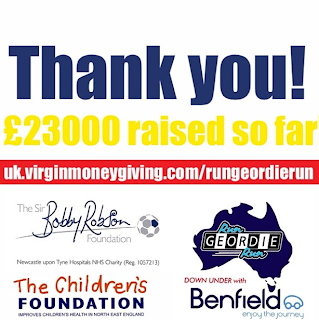 "Just caught up with donations on uk.virginmoneygiving.com/rungeordierun Thanks so much to everyone who donated and left a message." @Carlton46 - "Really tough day today for @rungeordierun. 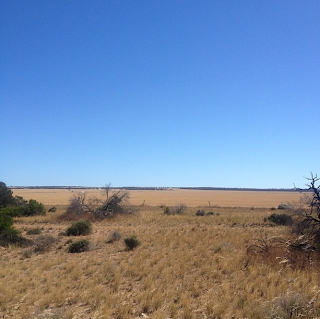 40c, flies everywhere, fasands of em. And as a "treat" for @rungeordierun, i put the air-con on whilst stationery. So we became VERY stationary. Thank goodness for AAA. sorted now." 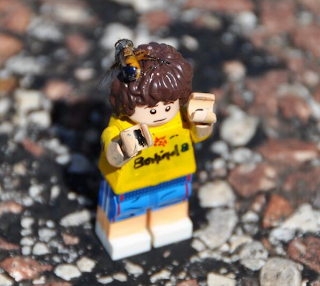 @Carlton46 - "This is Lego @rungeordierun having the same problem with flies..."
"Tough day. High temp of 38c. Most flies I've seen in 34 days. RV breakdown. Exhausted now." "Weather forecast for tomorrow is 37c. It's going to be another very tough day." 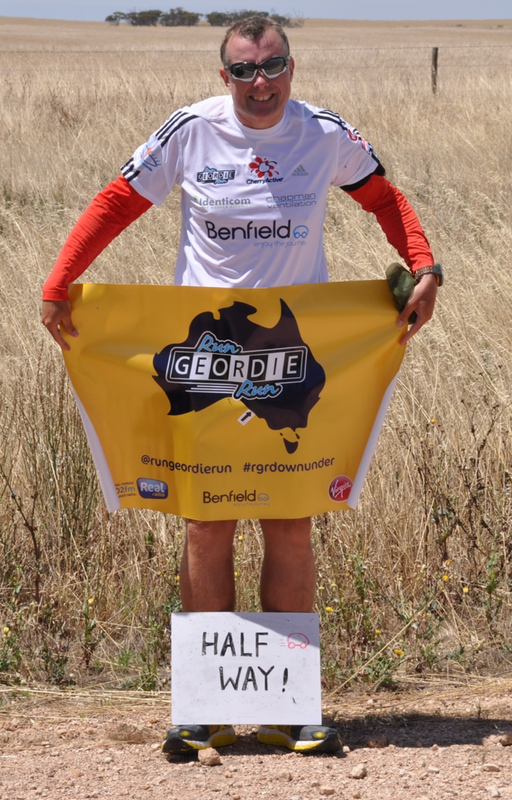 "Day 33 - The lady on the right is from #wallsend #nundroo"
"Day 33 - I've just ran past this sign. 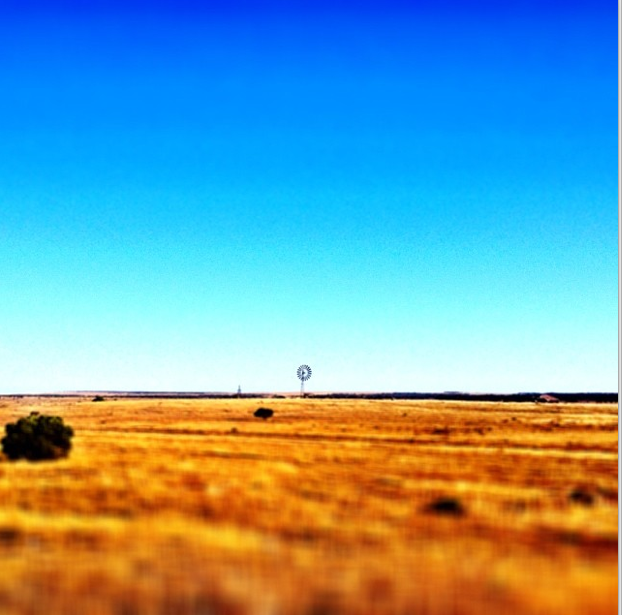 #eyrehighway #nundroo #nullarbor"
"Day 33 - A windmill near #nundroo #eyrehighway #nullarbor #rgrdownunder"
"Day 33. 3 miles west of #nundroo. 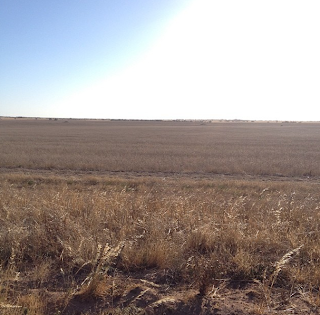 #wheat A most unusual sight." "Get in! 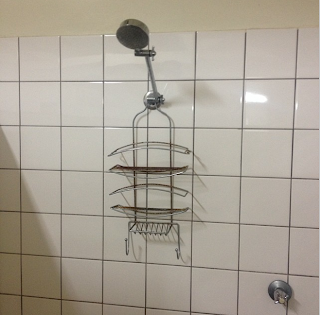 Just found a shower in #Penong. 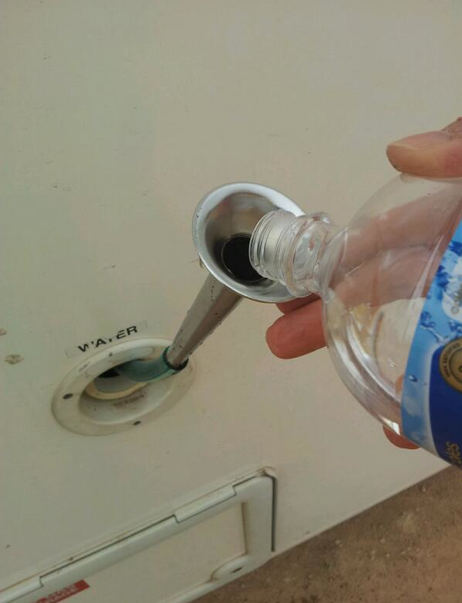 It's much needed after running over 100km without one." "Best thing I've seen all day! 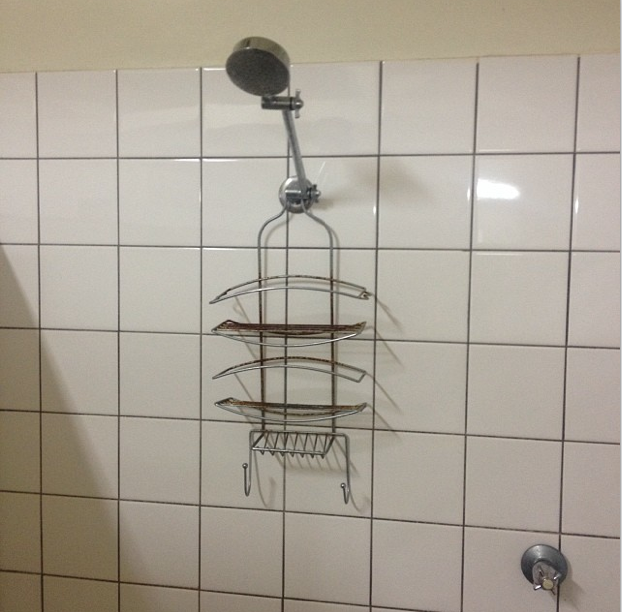 #shower #penong #eyrehighway"
"Bit disappointed by the fact I now consistently get the morning sessions nailed but, more often than not, struggle in the afternoons." "19 - 20 miles by lunchtime is now standard. Gotta raise my game in the afternoon and start taking a few more risks." "The lady I just spoke to in #Penong says that it'll be high winds not high temperatures tomorrow. I'll take that. Hard work but no flies." "28c and it's dark. 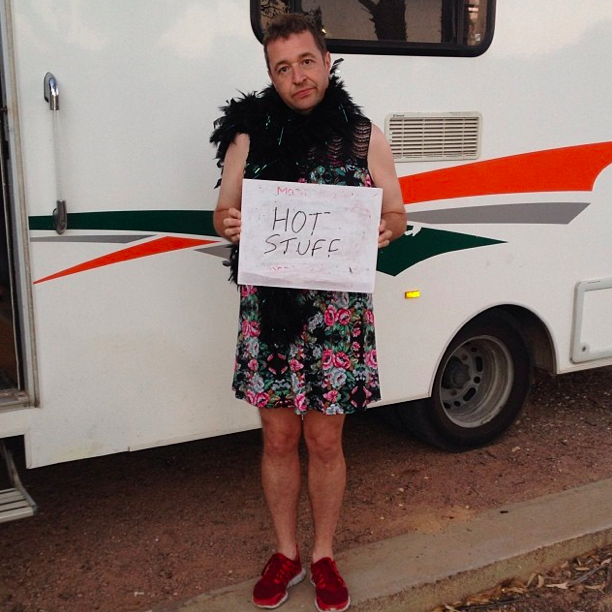 The RV is like an oven. This is going to be a tricky nights sleep." 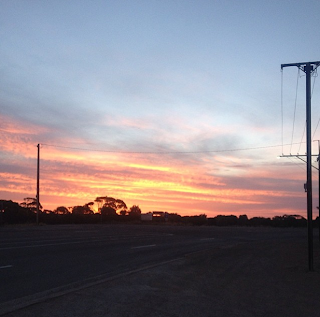 "#sunset in #penong #eyrehighway #nullarbor"
"Not sure how I'm going to get to sleep in this heat. At least the mozzies are keeping me company." "This is the latest I've been awake for quite some time (22:12). It's too hot to sleep and I'm killing mozzies. Day 35 tomorrow. 1/2 way." 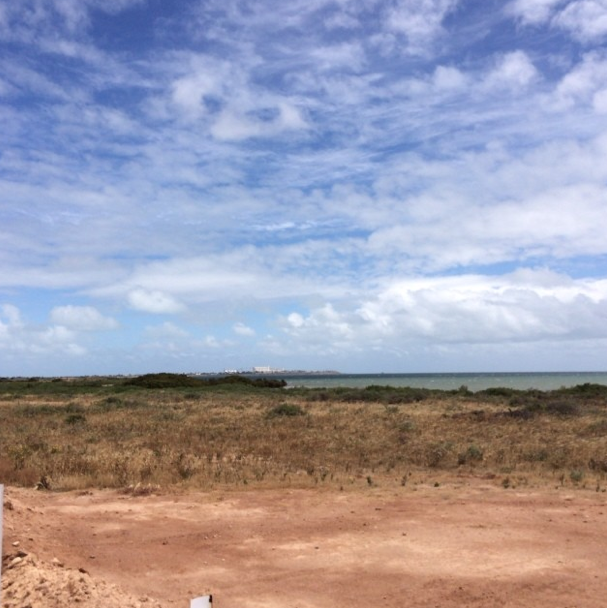 "The wind is gusting outside and the temperature has dropped nicely. Time to get some sleep. Up in 2 hours." 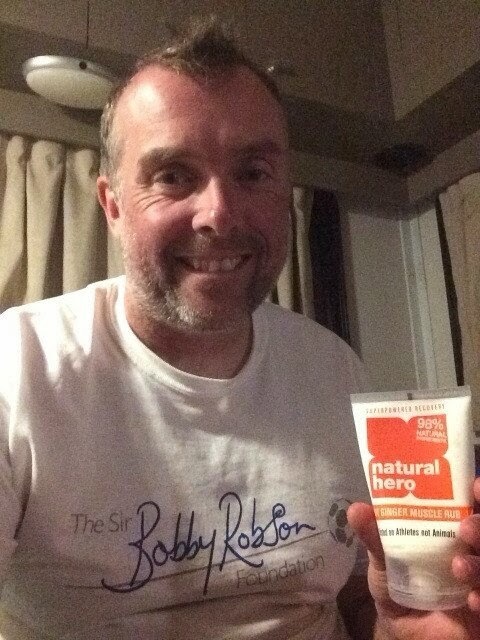 Here's a picture from Mark on Day 6 with a product kindly supplied by Natural Hero. Their products have been produced to deliver effective sports recovery with 98% natural ingredients. As you will see on their website there are 3 key products available depending on your requirements. The Natural Hero team think Mark is inspiring with what he is doing and want to help to raise more money for the two charities. They would like to offer Mark's blog readers 10% off at the checkout and they will also donate £1 for every product sold. Please use the promo code RGR10.